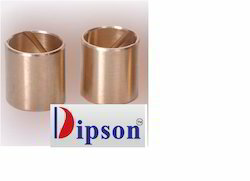 Leading Manufacturer of bushing, submersible pump bushing, gunmetal bush, submersible gunmetal bush and connecting rod bush from Rajkot. We are humbled to declare ourselves as the manufacturer and supplier of Bushing. The offered earth moving bushing is an ideal thrust bearer which is widely used in the rotor applications. Our offered earth moving bushing is very strong and sturdily made component which can serve the purpose, without much maintenance efforts. The offered bushing is very popular, owing to the high durability and reduced prices. Our firm is dealing in the manufacturing and supplying of Submersible Pump Bushing. 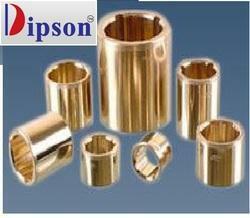 The offered pump bushing is widely used in the submersible pumps for the movement of the rotor. Our offered submersible pump bushing is very versatile component which can withstand rough and rugged usage, without needing any maintenance. The offered pump bushing is for the water submerged applications. 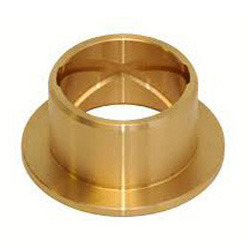 We are one of the well known manufacturers and suppliers of Submersible Bronze Bushing. The offered bushing is an independent plain bearing which provides a bearing surface for the rotary applications. 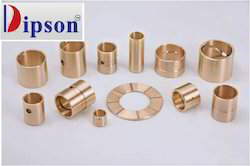 Our offered bushing is made of bronze metal, to provide extra hardness and bear ability during high mechanical stress. The offered bushing is available at very affordable and economic market selling price.